Anybody who's anybody from my hometown goes to Lombardi's Ranch at Halloween time, and I was able to do so a few weeks ago. My friend Chloe invited me to tag along with her family since Nathan was working. 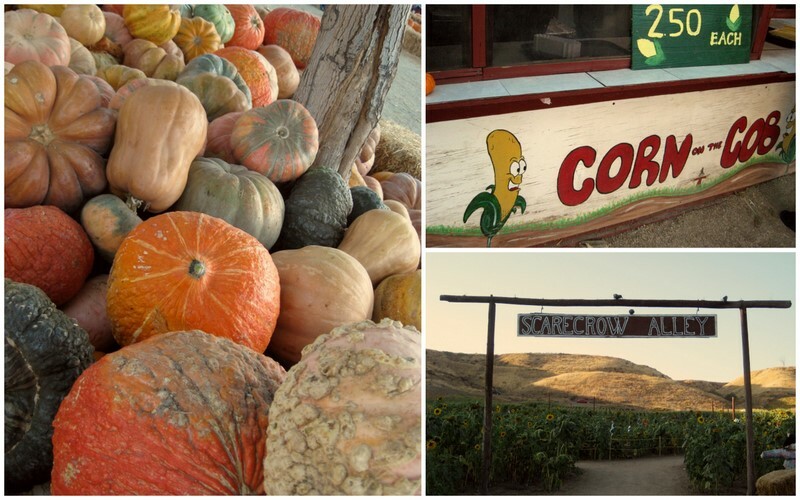 Lombardi's Ranch is our local pumpkin patch, and it's as country as it gets around here. I decided to dress a little country to keep with the spirit. I put on my jean skirt and some ankle boots. Turns out Chloe had the same idea! I grew up going and love when this time of year comes around--nothing gets me in the autumn spirit more. We spent time walking around and looking at all the different sights, and then we enjoyed some home-grown corn on the cob buttered and salted to perfection. Then we picked out our pumpkins. Mine wont be made into jack-o-lanterns this year, rather they will be on display through Thanksgiving after which I plan on cutting into them, carving out the seeds, roasting 'em up and making some homemade pumpkin pie, or maybe bread...we shall see. I love this time of year! Did you buy a maternity jean skirt? 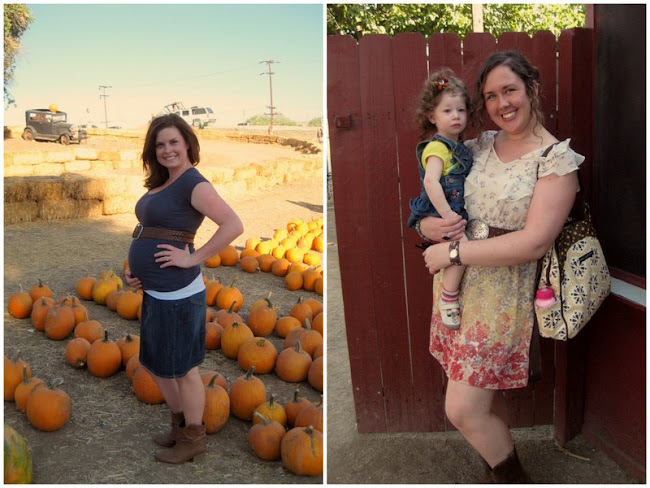 Those are a necessity when pregnant!